Crossmatch testing is a mandatory component of the transplant work-up process. Performing crossmatch testing consists of donor lymphocytes against recipient serum. The routine test is used to prevent hyperacute rejection. However, a major limitation of current testing methods is false positives from autoantibodies. 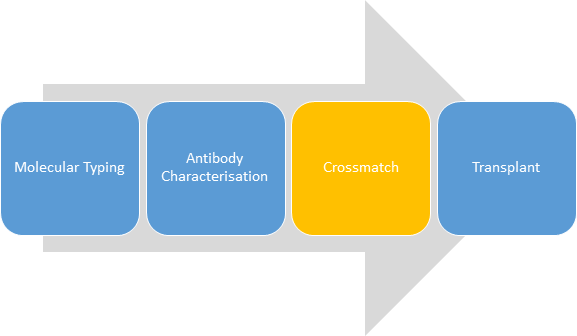 Newly launched by One Lambda, FlowDSA-XM is a Flow Cytometry based crossmatch assay optimised for the detection of leukocyte antibodies. 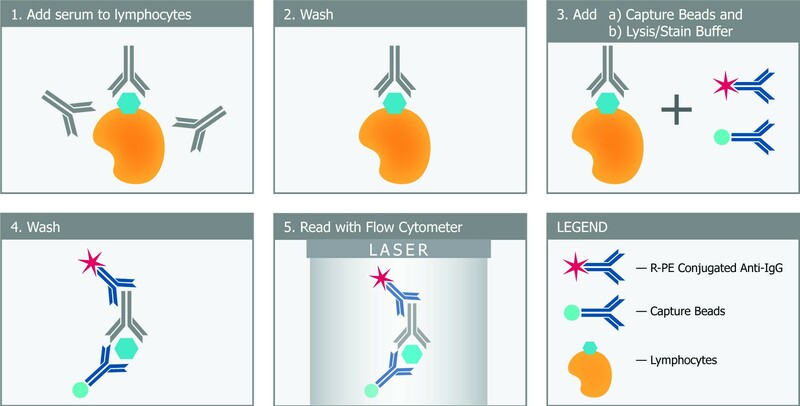 Combining traditional Flow Cytometry cellular crossmatch testing with the specificity of microbeads technology, the FlowDSA-XM distinguishes leukocyte antibodies from autoantibodies, allowing you to obtain selective detection in the first run. The workflow involves incubating lymphocytes with human serum. Any IgG on the cell surface is tagged with PE labelled anti-human IgG. 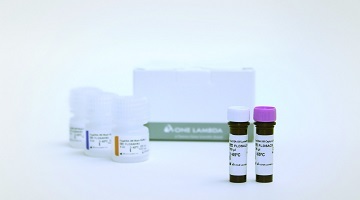 FlowDSA-XM Capture Beads bind selectively with the resulting antibody/antigen/PE-anti-IgG complex and the fluorescent intensity is measured to indicate the relative amount of leukocyte antibody present in the serum. You can view the following One Lambda hosted webinar which provides an overview of traditional crossmatch testing and review of the novel, new FlowDSA-XM crossmatch assay.